SECRETFORTS: A Photographic Memory: Mikael Kennedy, Shoot the Moon. 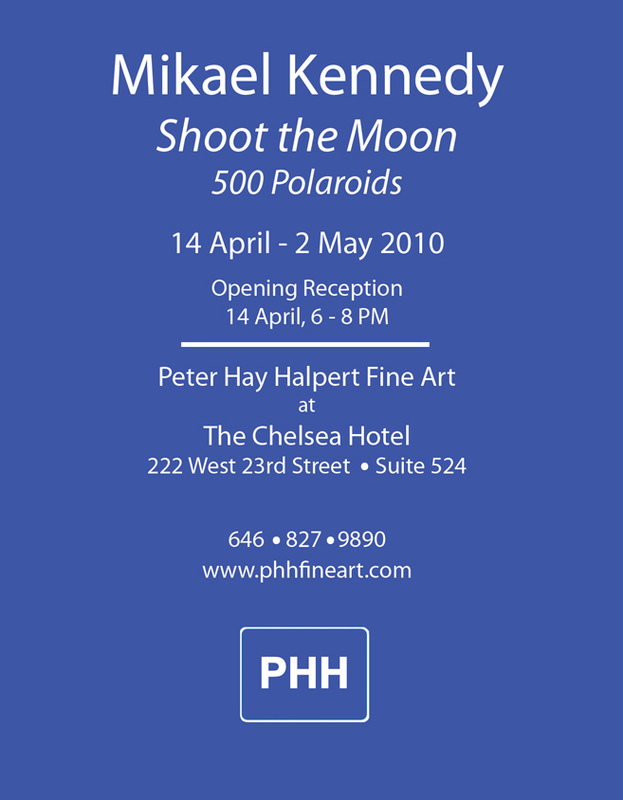 A Photographic Memory: Mikael Kennedy, Shoot the Moon. Mikael's been somewhat busy as of late with projects like shooting the Rogues Gallery lookbooks, keeping up Passport to Trespass, and his recent beautiful series of landscapes, The Odysseus. Not to mention a residency at The Bakery Collective in Maine and a lecture series in Cardiff, Wales and generally traveling like a mofo. As of late, he's been dealing with the somewhat maddening task of editing these moments of his memories into the cohesive, beautiful and intensely personal mid-life retrospective. 500 Polaroids. Of friends, ex-girlfriends, road trips, evenings, sunrises, skies full of birds, each season, bad times, lean times, salad days, the best of times. At twenty years old, Mikael began committing his memories to the instant wonders of the Polaroid, using whatever film he could find, sell blood to buy, scrounge or hand load under a blanket(you'll find his thumb print on those). During my visit to chat and get a preview of the show before it begins to slowly deconstruct(as each Polaroid sells, it will be taken from the wall and given to the buyer on the spot), Mikael recalled talking with another photographer in Wales. He said photography ruins memories. When we take so many photos, our memories begin to be of the photograph and not the actual instances. "That's four thousand little holes knocked out of my memory". 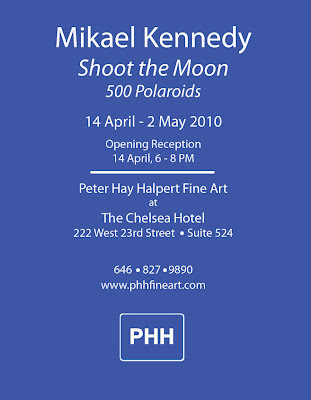 This show, the editing, the late nights alone installing the show at the notorious and storied Chelsea Hotel hasn't passed without giving Mikael time to recount those instances(the aforementioned theory seems to hold true for Mikael, as he seems to have an encyclopedic recall for nearly every photo and where it's placed). If a picture's worth a thousand words, Shoot the Moon is Mikael's opus. But I dare say he's only just begun. For each Polaroid that sells, Mikael is promising himself 2 days shooting in the future, as if trading away his past and personal histories to begin again on the next decade's worth of work. Thousands more holes knocked outta his memory, caught on film. Just great, love it ..... not to mention the venue !!!! Really great... love the venue too !!! I love Mikael Kennedy collections they are great, shoot moon is an amazing collection, I wish I had more money to buy some of them.